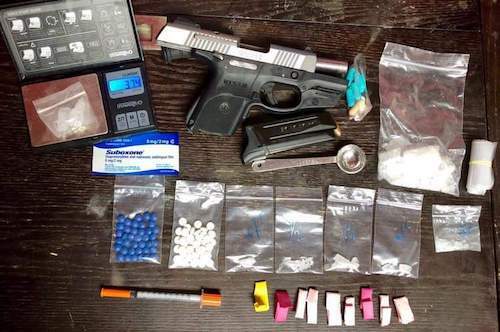 LOUISA, KY. — On Jan. 19th The Louisa Police Department and Lawrence County Sheriff’s Office continued its efforts towards fighting the drug issue with their new D.I.C.E. Program (Louisa, Lawrence Co. Drug Interdiction Cooperation Enforcement program). Ptl. 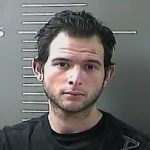 Hunter James arrested Alexis Carter, 28 of Louisa and Frank Pospisil 24. 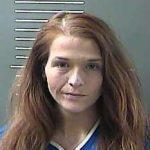 Both are charged with Trafficking in Controlled Substance were transported and lodged in the Big Sandy Regional Detention Center. LOUISA, KY. — During a traffic stop by D.I.C.E. 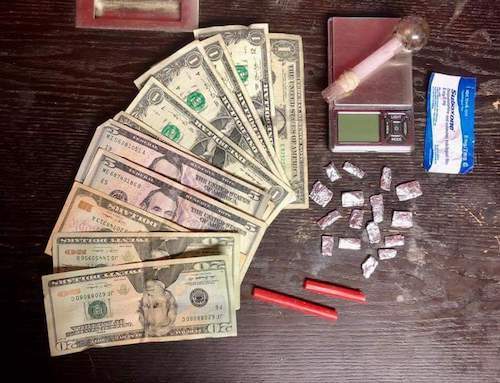 (Drug Interdiction Cooperation Enforcement) The Louisa Police Department reported on their website that they noticed suspicious activity by occupants of a vehicle. LPD’s Sgt. Steve Wilburn deployed their drug K9 Kenya and officers located Methamphetamine packaged for individual sale along with money and drug Paraphernalia that is used for drug trafficking. 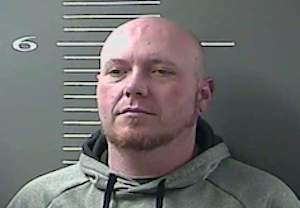 Dustin Slone, 40 of Louisa was arrested at that time by Ptl. Hunter James. Sheriff Chuck Jackson was also present and assisting with the arrest. Slone was transported to the Big Sandy Regional Detention Center on multiple charges. according to Sheriff Chuck Jackson. A formal meeting will be held Jan. 31, Jackson said, when further details of the program will be announced. JOHN BUTCH PRESTON: Kentucky—Wherefore Art Thou? Wonder why Jackson hadn’t been trying to do this before now. He definitely doesn’t have much experience at what he is trying to do with the drug issue and he let the others set back and get lazy so that he could act like he will be a miracle worker. Not going to happen…he won’t follow through with anything that will turn people against him. Good job to the police department who has been trying to do good for a while not just trying to ride coat tails like Jackson now. Good Job guys. Chuck Jackson is the real deal and will help turn LC back around! Awesome job Chuck Jackson! I knew you would clean this town up, dont worry about the negative comments obviously they dont actually know you. To whomever left the nasty comment i hope he gets you next lol. Man does he have everyone snowed. If he is going to turn LC around how come he hasn’t been out serving his indictments and the child support warrants like he promised. Oh that’s right they vote and have families that vote so doesn’t want to upset them. He has several warrants that he got for people back early last fall and hasn’t done anything about them. Not to mention from the story it is clear that the police department is the one doing all the work. As it said he was present and assisted…lol well showing up just so you can get your name mentioned isn’t going to cut it. Sheriff’s Department is going to be the laughing stock of the area now. As I said before GREAT job to Officer James and the rest of the police department for caring and continuing to do their job. I didn’t vote for Jackson or Wheeler. Neither of these boys are men’s men. I just have to say that most drug dealers are rolling with more than 65 dollars. I don’t think this 65.00 was from a massive operation. Sorry to hear this. Dustin is a very good person and I hate that he has found himself in this situation. Prayers for him and his family. I appreciate the efforts that our law enforcement has deployed however I feel that the real answer is not arrests and more incarceration for non violent crimes and low level stops that have small amounts of recreational drugs for personal use. I think rehabilitation and counseling would be more productive along with better economic development.